Pick up and recover ferromagnetic (e.g.mild steel) pieces such as dropped nuts, screws, bolts, keys, washers and other bits with ease, even if they end up behind your workbench, somewhere in the engine you're working on, rolling under a locked door, etc. Use our Magnetic Pick-up Tool (Magnetic Retrieval Pen) when trying to get those ferrous items that are out of the reach of your fingers. 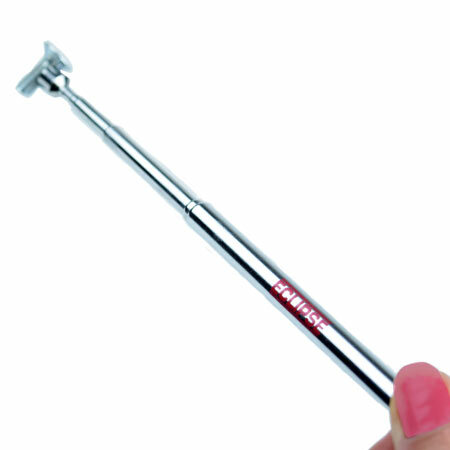 Our high quality telescopic magnetic retrieval pen pick-up tool is 147mm long and extends up to 660mm long (nearly 26 inches). It holds up to a maximum of 1kg (depending on the material being picked up).